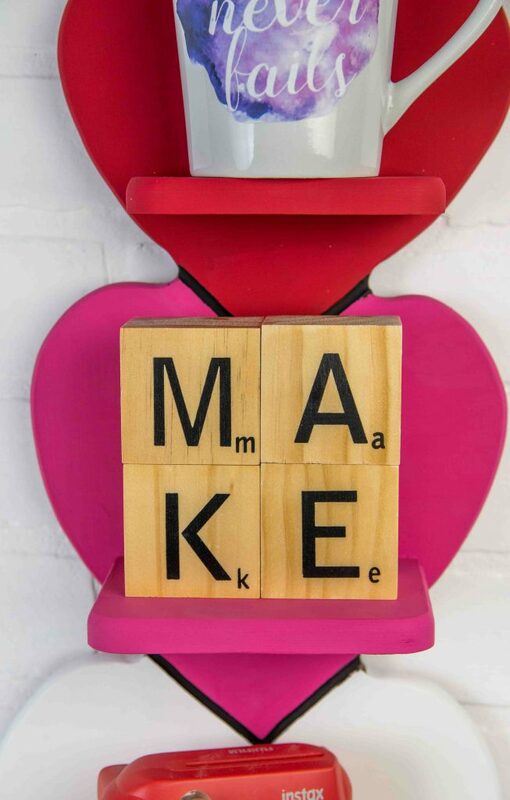 Hey guys, I know Valentine’s Day is just a few weeks away so we’re making some projects that you all will love that will hopefully get you inspired to go out and make something creative for the holiday. 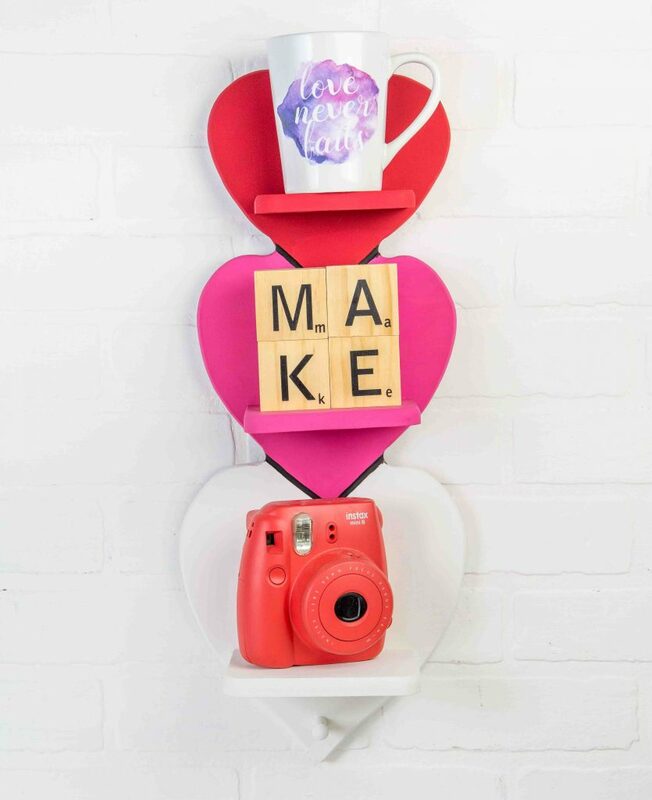 Today we’re going to show you how we revamped this thrifted heart shelf, and turned it into the perfect decor piece for Valentine’s Day! It’s amazing what some TLC, and a coat of paint can do! 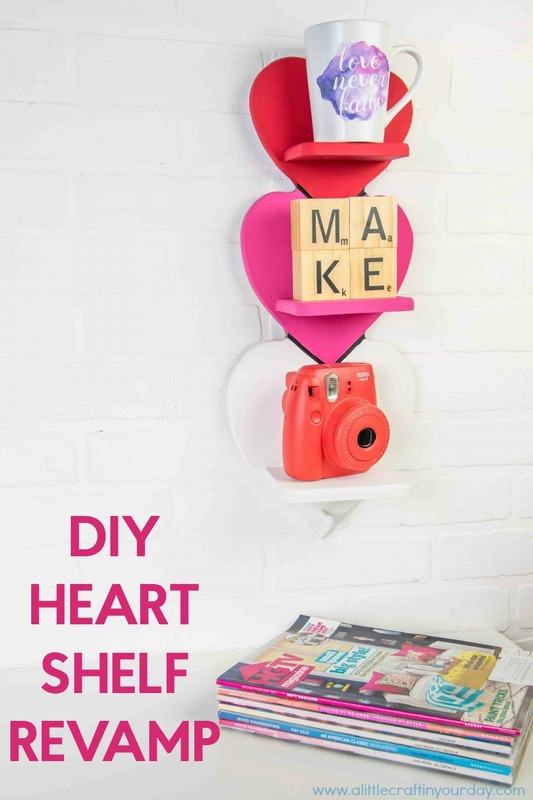 If you want to see how we pulled this DIY Heart Shelf Revamp off then check out the tutorial below. 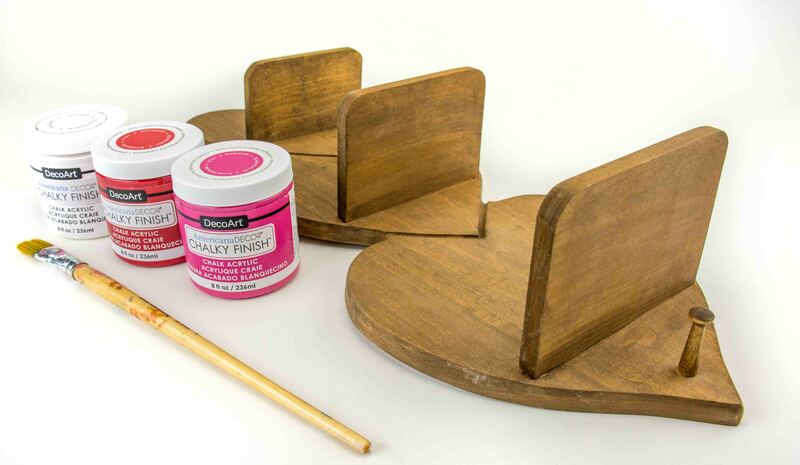 Step 1 : Wipe the shelf clean then paint each heart a different color. We went from red, to pink, to white. 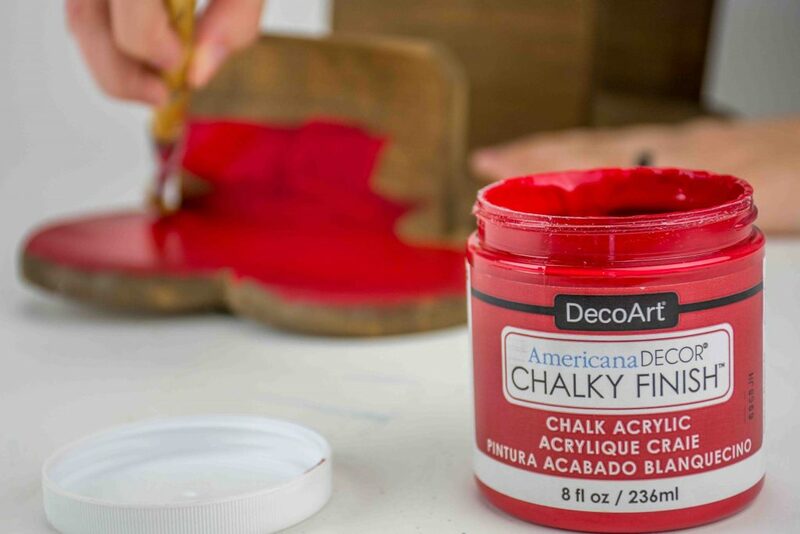 Step 2 : Once dry, simply hang, decorate, and enjoy! Check out the Americana Decor Chalky Finish Paint we used in this project! This post is sponsored by DecoArt. Thank you for supporting the brand partners that make A Little Craft In Your Day possible.